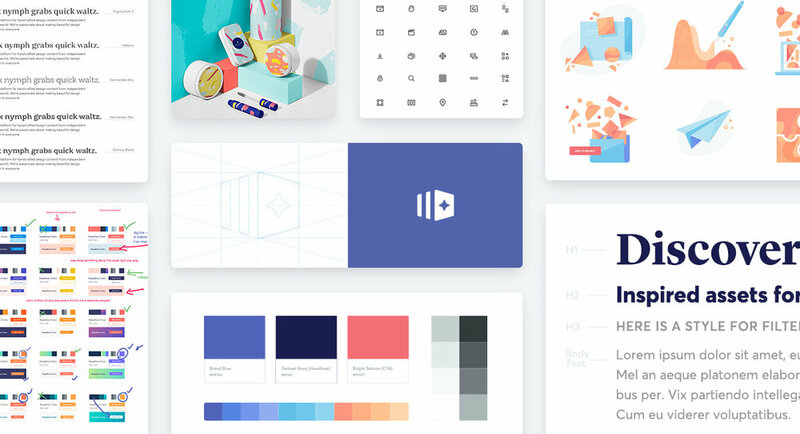 In 2017, the team at Creative Market set out to build Creative Market Pro, a design asset subscription for professional designers. Over the course of three months, I worked closely with Positioning, Market Research and Product teams to design a brand system for Creative Market Pro. The goal for this ‘Minimum Viable Brand’ was to differentiate the new product as a curated, subscription-based tool for professional-level design teams. 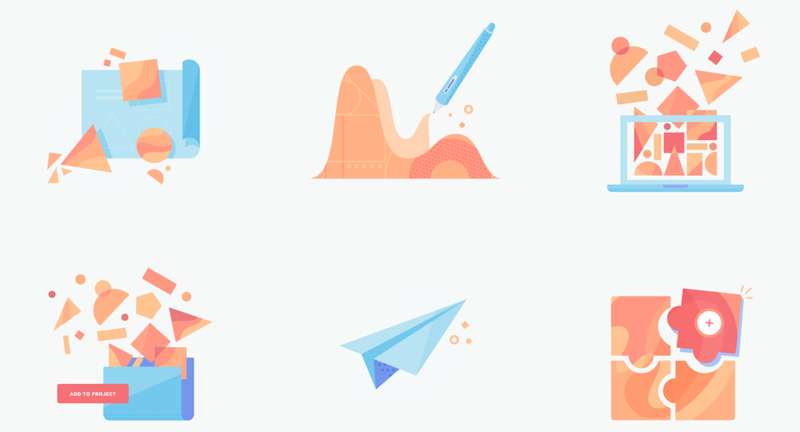 The icon for Creative Market Pro represents the idea of a special collection, incorporating the spangle as a nod to the spark of inspiration behind every asset on the site. The illustration system stemmed from these abstract avatar explorations. Swatches of abstract patterning lent an energetic, inspiring feel to contrast with our bold headline typeface, and they helped define the way we use color and shape in illustrations. After launching Creative Market Pro, I worked closely with our Growth & Marketing team to art direct and produce ad creative. The series of ads highlighted the versatility of the assets on Creative Market Pro, and the ways that the new product could allow teams to produce great design work swiftly. These ads were surfaced on Google Display Network, Facebook, Twitter and Instagram.